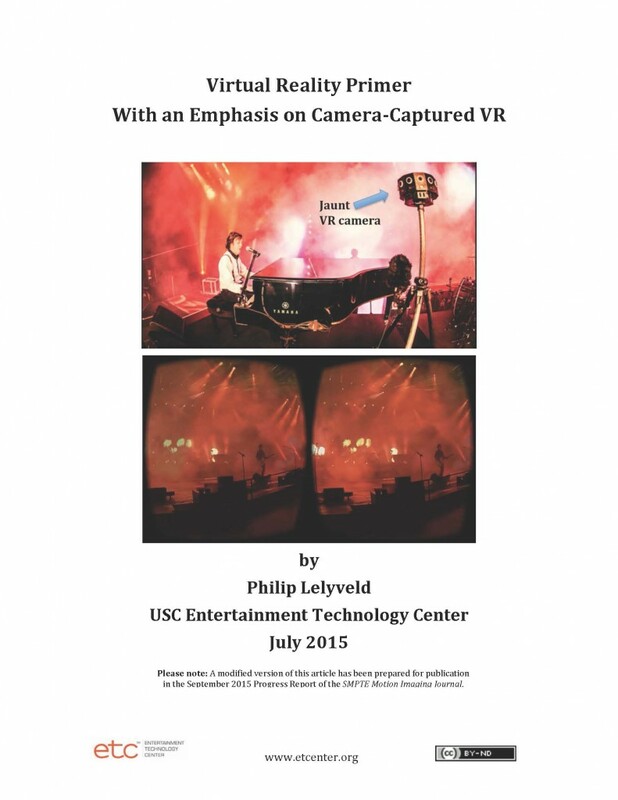 ETC@USC program manager Phillip Lelyveld authored this primer on Virtual Reality with an emphasis on Camera Captured VR. A modified version of this article appears in the September 2015 Progress Report of the SMPTE Motion Imaging Journal. Click on image below to view/download the report.